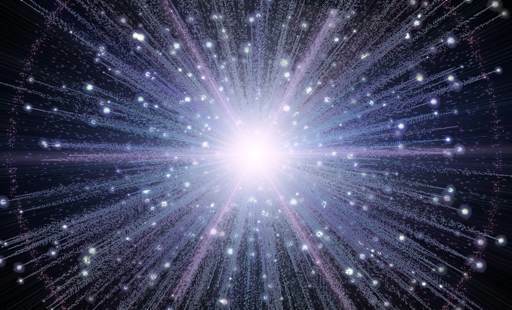 According to the theory, approximately 13.7 billion years ago, just before the Big Bang, the entire contents of our universe was compressed into the confines of an atomic nucleus (this is possible because matter did not exist as we think of it now - only energy). Known as a singularity, this is the moment before creation when space and time did not exist. According to the Big Bang theory, a massive explosion (or expansion to be more accurate) occurred which created not only fundamental subatomic particles and thus matter and energy but space and time itself. What is the evidence? First of all, we are reasonably certain that the universe had a beginning. Secondly, galaxies appear to be moving away from us at speeds proportional to their distance. This is called "Hubble's Law," named after Edwin Hubble who discovered this phenomenon in 1929. This observation supports the expansion of the universe and suggests that the universe was once compacted. Thirdly, if the universe was initially very, very hot as the Big Bang suggests, we should be able to find some remnant of this heat. In 1965, radio-astronomers Arno Penzias and Robert Wilson discovered a Cosmic Microwave Background radiation (CMB), a small amount of head which permeates the observable universe. This is thought to be the remnant which scientists were looking for. Penzias and Wilson shared in the 1978 Nobel Prize for Physics for their discovery. 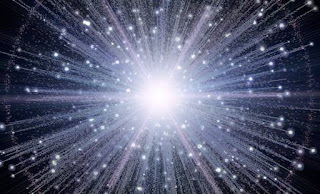 Finally, the abundance of the "light elements" Hydrogen and Helium found in the observable universe are thought to support the Big Bang model of origins.